I started making all natural soap about five years ago. I had learned that we should not put anything on our bodies that we wouldnt eat. Then I started reading labels on my products and that really opened my eyes. From that point on if I couldnt pronounce the word I didnt use it. I believe the Lord has given us nature to nourish and heal our bodies. We just have to educate ourselves on what is healthy and what is not. I make all of my soaps and lotions myself from scratch in my kitchen. My molds are hand made. My soaps are cut and trimmed by hand so every one will vary slightly in shape and size. My bars are a generous 5 ounces. I prefer to go all natural but I will use skin safe fragrance oils upon request. I use a preservative in my lotions because it is necessary. It is one percent of total ingredients which is very low. I hope you enjoy my products as much as I enjoyed making them. My lotions and soaps were tested on the most skin sensitive individuals and they gave them a big thumbs up. If anything irritates your skin please discontinue use. 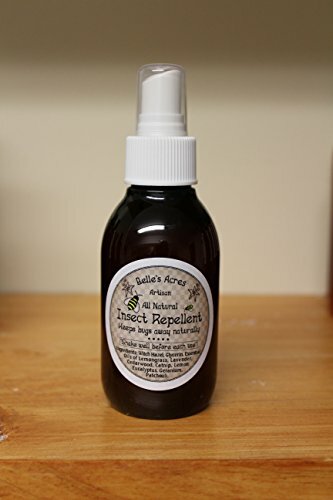 ☛ Check out separate listings for Belle's Acres full line of all natural, handmade beauty products.